The Rihanna vocals are finally in! 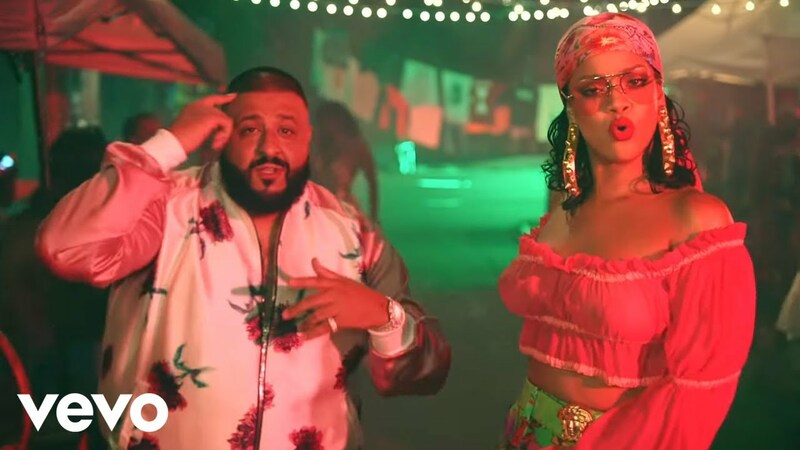 DJ Khaled has dropped his hotly-anticipated collaboration with Rihanna and Bryson Tiller, 'Wild Thoughts'. "Careful mama watch what you say / You talking to me like ya new bae" he sings. DID I TELL YOU MY ALBUM DATE! #GRATEFUL #JUNE23 ! VOCALS BEEN IN !! VIDEO IN TO!!!!! @badgalriri thank you so much me and @asahdkhaled WE SO GRATEFUL! Bless up @brysontiller GOD IS THE GREATEST ! @wethebestmusic @epicrecords @rocnation FAN LUV PRE ORDER #GRATEFUL NOW!! THIS VIDEO IS LEGENDARY!!! The trio were spotted filming the song's music video in Miami last week, with fan-filmed videos of the shoot later leaking online. 'Grateful' drops on 23rd June. Khaled's tenth album is set to feature appearances from a staggering number of artists including Drake, Future, Migos, Nicki Minaj, Calvin Harris, Travis Scott and more.